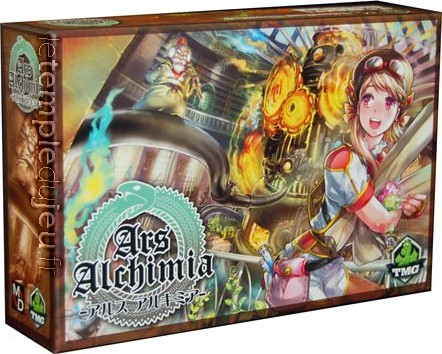 Alchimia-a world of alchemy, where the discoveries made by past grand alchemist have revealed the mysteries of alchemy at a faster rate than technology. The everyday lives of people is sustained by tireless alchemy factories. You are one of the factory overseers in the Academy of Alchemy. You will need to select orders from the clients, gather the materials and transmute them, to become the ... <lire la suite>. Alchimia-a world of alchemy, where the discoveries made by past grand alchemist have revealed the mysteries of alchemy at a faster rate than technology. The everyday lives of people is sustained by tireless alchemy factories. You are one of the factory overseers in the Academy of Alchemy. You will need to select orders from the clients, gather the materials and transmute them, to become the most trusted and famous factiry in town.